The kindergarten year can be a major transition for children. Often it is a child’s first school experience, and each is developing physically, socially, and academically at his or her own pace. The goal of our morning kinder program is to provide a balanced and fun program so that children develop a love of learning. Thus, our newest students will practice “school skills” – taking turns, raising hands, following instructions, sharing, etc, as their first steps in becoming responsible community members. In our buddy system, they will be paired with older students who will model expected behavior and engage in learning with them. The academic curriculum will focus on artistic expression, reading readiness, and introductory math concepts. Gross and fine motor skills will be practiced during PE, project, and choice time. Kindergarten will be an age-appropriate introduction to the Muddy Creek way of “doing school” that focuses on place, project, and community, and children will have plenty of opportunities to put on their boots and go outside to explore plants, bugs, the weather, and more! We believe every child can learn to read. Children learn at different rates and in different ways. We believe that age and grade do not determine when a child learns to read; rather that learning occurs after a child reaches a certain level of maturity, has had many experiences with language and reading, and is motivated to learn. For some children this takes place before Kindergarten. For others, learning to read occurs at age 6 or 7. Some do not really catch on with reading until 8 or even later. Our reading program is designed to meet the diverse needs and wide range of abilities present in our classroom. Below are listed the components of the Muddy Creek reading program. Our classrooms are set up to encourage reading and interest in reading. Children are read to for 10 to 15 minutes a day: stories, poems, etc. There is a read-at-home program starting at about 15 minutes, and moving up to as much as 30 minutes for all Muddy Creek students. The place-based learning methods employed at Muddy Creek Charter School have been designed to stimulate student engagement and achievement. In place-based programs, students directly experience what they learn in a familiar context. Their capacity to understand and communicate the subject matter increases. Studies of schools adopting social, cultural and natural features of local environments as the context for academic subjects report that students act more independently and responsibly, display more pride in and ownership of their educational accomplishments, exhibit improved discipline and self control and academically outperform their traditionally instructed peers. At the heart of MCCS place-based learning is use of the agricultural and rural area, including farms, forests and a wildlife refuge in the Muddy Creek watershed as part of the larger classroom. The agricultural landscape, including tree farms, grass seed farms, orchards, grazing lands, streams, ponds, wildlife refuge and national forests of the Muddy Creek watershed are the places about which projects are developed. Students are directly connected to their surroundings and community. 3. connects place with self and community. Curricula include multi-generational and multicultural dimensions as they interface with community resources. 5. has been linked with higher academic performance. MCCS uses project-based learning methods as the means for providing experience and learning through place. Because project-based learning is emperical, it is a natural pairing with place-based education. This place-based program will be the context for project-based learning where the students will help design, conduct, present and self-assess their work investigating a series of topics. Students will choose topics within the parameters defined by the teacher. Depending on grade level, projects will be designed to range from two weeks to several months. Projects will change from year to year based on the broad themes of rivers, forests and mountains. Over the course of several years students will be exposed to a large variety of science concepts and multidisciplinary projects related to these themes. All assignments will meet the state educational objectives in applied science and all other content areas. While science objectives will be a focus, MCCS will integrate writing and reading across the curriculum. Math concepts are a natural tie to the environment when studying the deep science of the local area. Given the rural/agricultural setting of South Benton County, we MCCS projects have a strong science component but include so much more. Because project-based learning is best when open-ended it will naturally incorporate other disciplines as they are meaningfully integrated into the project. Students will practice disciplines by engaging in learning that involves math, literacy, art, social studies and science simultaneously, providing students with the opportunity to put to practical use what they learn during the portion of their day designed as traditional instruction. Project components may include but are not limited to art, historical perspective, science, research, scientific investigation, writing, math, graphs, charts, outreach, presentation, technology, engineering, and collaboration with outside agencies/land owners/other students. Researchers have found students who experience an integrated curriculum are more highly motivated and learn better because the concepts relate to their needs, problems, concerns, interests and aspirations (Erlandson & McVittie, 2001). It has also been found that students are better prepared for life in the 21st century because a curriculum rich in themes and content areas addresses current social problems and the complexity of the real world (Vars, 2001). 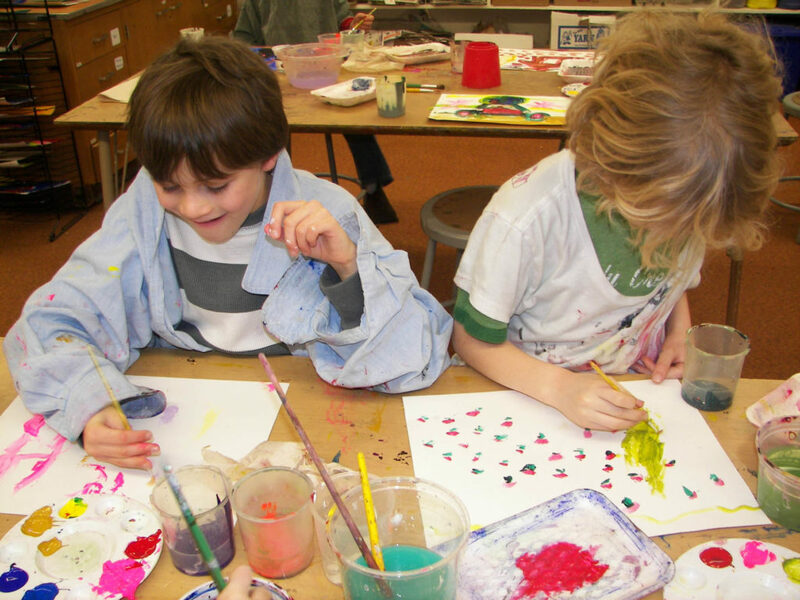 While place-based and project-based learning is the fundamental framework of the MCCS curriculum, art is also featured as a critical component of our educational program as part of our strategy to address cognitive, social, aesthetic, physical, communication and emotional aspects of nurturing the whole child. Art is included, not only as a subject in its own right, but also as a vehicle for observing and exploring the world. Art will be integrated in a variety of ways through project activities and engagement of artists in the community. Our goals for art integration are to enhance learning and include: (1) careful observation and schematic rendition, for example as a part of science; (2) appreciation and analysis of aesthetics and composition, for example in the study of landscapes; (3) cultivate critical thinking skills through critiques of art works; (4) understanding of symmetry, for example of arches, in conjunction with mathematics, architecture or science; (5) appreciation and understanding of colors and texture; and (6) experience in and appreciation of crafts making, for example in conjunction with native arts or wood working. Art may be individual, such as field journals or paintings, or collective, such as dramatic enactments or a mural. The school has demonstrated a wide range of arts integration, from the making of clay masks to enhance a study of native legends to photography of landscapes and interpretive water color in concert with science projects. ● Demonstrate political effectiveness in service settings. ● Exhibit proficient use of service skills. ● Indicate personal development through performing service. ● Demonstrate moral development by acting ethically in service settings. ● Practice basic academic skills in real life situations by engaging in service. Students are encouraged to think about how they can contribute to their family, school, community and world. Through this process students acquire a greater sense of self and a sense of responsibility for themselves and for the world around them. In our program, service learning can be as simple as supporting younger peers, cleaning the school or doing yard work for someone that needs help. It can be as complex as habitat restoration and erosion control. Service learning integrates readily with the place-based and project-based approaches and is a natural outgrowth of these methods. At MCCS service learning projects will unfold from scientific observations of the local ecology as well as student led assessments of the community’s needs. Students have many opportunities to be of service and benefit to the community, both natural and human. They will present and teach to others what they have learned, and be expected to affect changes they identify as important through their projects. Students are required to reflect on the connection of the activity to their academic goals and their personal lives. These reflections and other reports will be included in the portfolio created for presentations to parents.